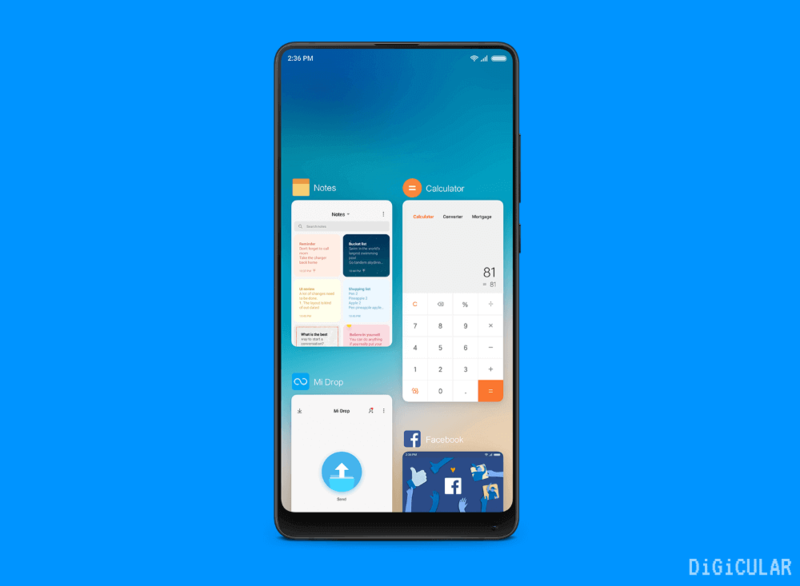 Xiaomi has unveiled another iteration of their custom Android ROM, MIUI 10. And they added some Cool and exciting new features this time too. There is an AI feature which lets you open apps in almost ZERO time. And with the help of another AI feature you can take DSLR like photos even with Non Dual camera phones. 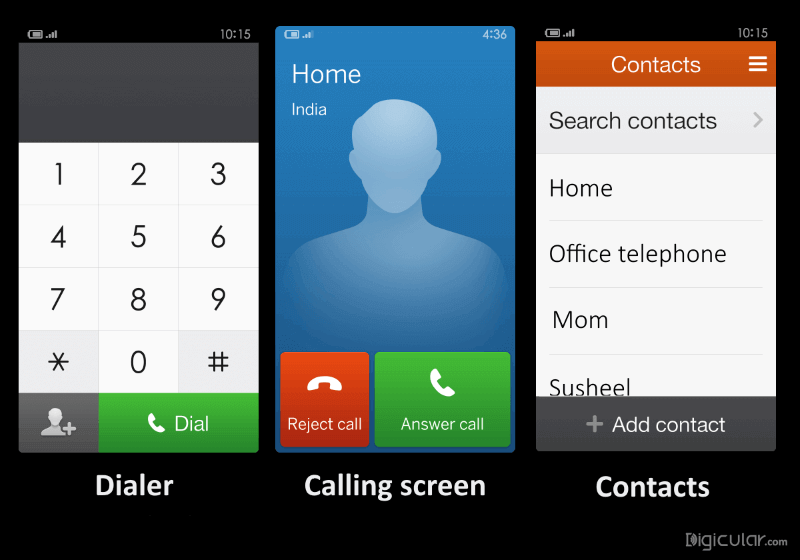 Besides these features, there are new Gestures and some Indian Specific features which you will love. 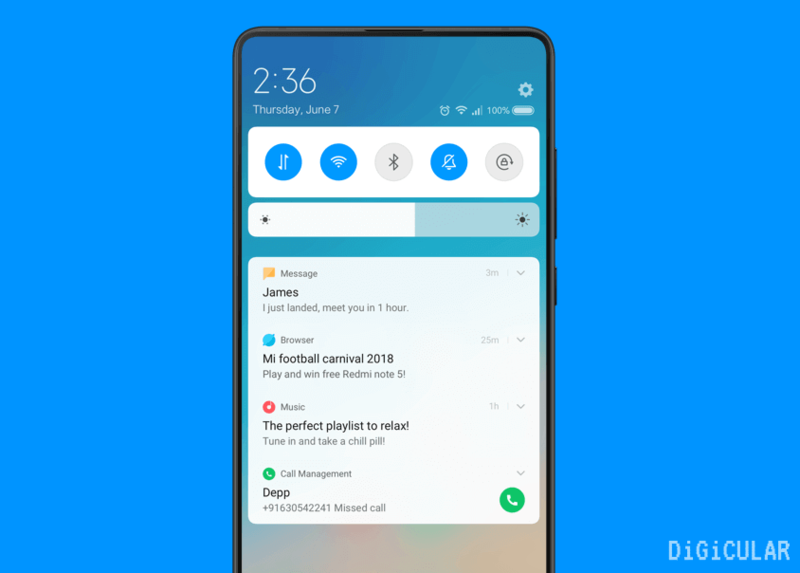 In this post, I will show you all the best new features of MIUI 10 and also some major improvements from its previous version, MIUI 9. So, lets get going. Concluding: Which MIUI 10 feature do you like? The recent apps screen has undergone a major change in MIUI 10. It looks a lot more different than what you have seen in MIUI 9 and other versions. The recent apps are arranged side-by-side in form of cards, which can be scrolled vertically to view more apps. 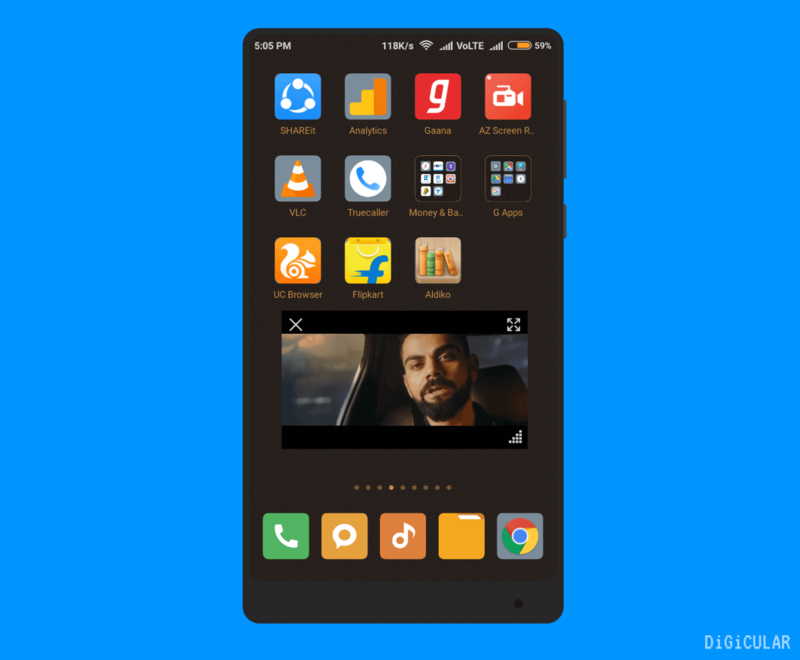 With this sort of arrangement Xiaomi was able to use a lot of space on screen and you can view upto 6 Recent apps at a time on your screen. Also you view recent apps with a Swipe-up Gesture similar to iOS. You just have to Swipe up and Hold to view recent apps. And if long tap on any recent app, you can see 3 buttons, which are Activating Split screen, View App info and Lock the app (Prevents an app from closing when you clear recent apps) respectively. As usual, there is cleaner button at bottom which will close all the recent apps and frees RAM. Gestures are major addition to MIUI 10. There are lot of new gestures, which makes Navigation simpler. Most of these gestures are very iOS-ish, but still it makes your life simpler. 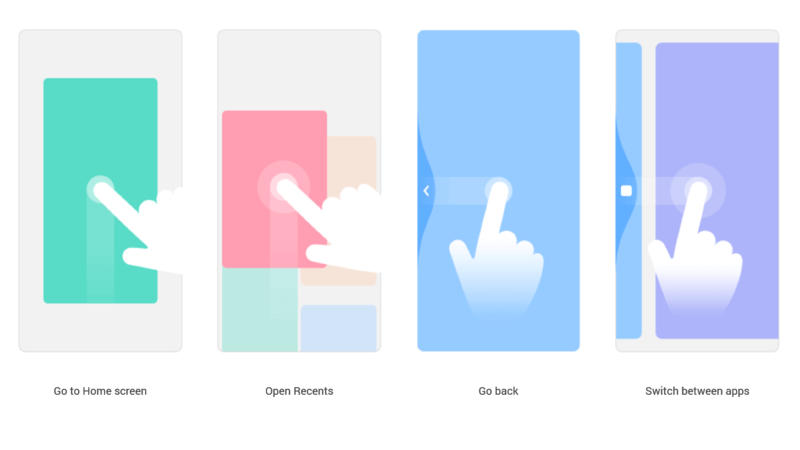 Though all Xiaomi phones have Physical navigation buttons, you may not need them, if you get used to these Gestures. Swipe up to go to Home – When you are using an app, you can simply Swipe-up from the bottom to go to Home screen. Swipe up & Hold for Recent apps – If you Swipe-up from the bottom and Hold, you can view the Recent apps screen. Swipe from Left or Right to go Back – Yes, you can ditch the back button. Just Swipe from the Left or Right side of the screen to go back to the previous screen. It just feels natural and comfortable this way. Swipe from Left or Right & Hold – When you are in an App, if Swipe (from left or right side) and Hold, you can directly switch to other apps in your recent apps. You can also see the icon of App you are Switching to. Surprisingly, Xiaomi has adopted UI features of Stock Android P in some areas like Notification shade and Volume Slider. 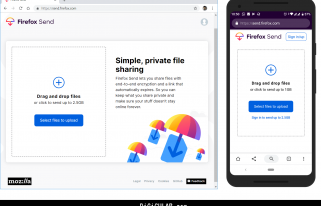 As we already discussed above, there is a new Recent apps screen with Side-by-Side design. 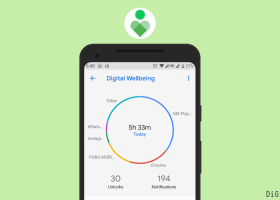 The Notification shade is more rounded and very much like Android P. The Quick toggles area is separated with white background and rounded corners. The notifications also have rounded-corners. Also, there is a New Brightness Bar in the notification shade instead of Slider to adjust the Brightness. The Volume slider is too adapted from Android P. It is vertical bar instead of a horizontal slider. Besides the volume indicator, there is Silent button and another button, which lets you adjust other system volumes and DND mode, also you can set timer for Silent & DND mode. Smart Phones with Dual-cameras usually offer a special mode called Portrait mode. What portrait mode does is it blurs out the background and gives bokeh effect (blurred background) similar to a DSLR camera. But here the dual-cameras are required, one to capture the person photo and the 2nd one to separate the background from foreground. But, with MIUI 10 AI Portrait mode, you can take photos with bokeh effect even with a Single camera. Here are some example shots that were taken using Redmi Note 4 and Note 3 with the help of AI portrait. AI Portrait, which uses Artificial Intelligence to analyze millions of photos to get a better understanding of, what is background and what is not. So it then uses this data to identify background and unfocus it (add blur). 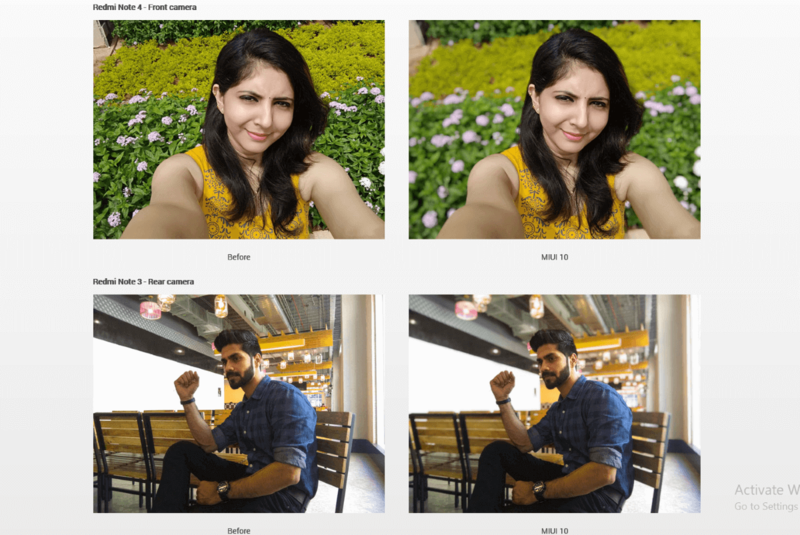 Xiaomi AI portrait works with both front and rear cameras. 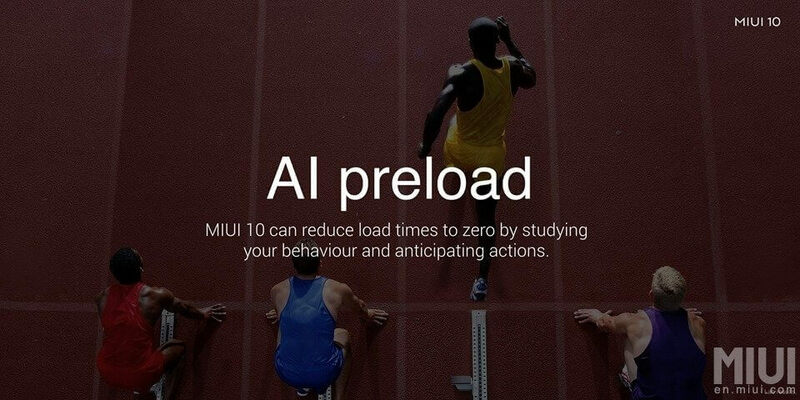 Another AI feature of MIUI 10 is AI Preload. AI preload uses machine learning to learn your app usage pattern. 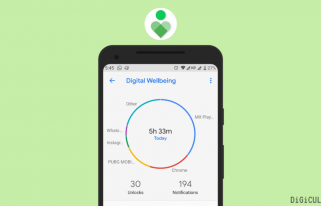 It learns which apps you use regularly and which apps you use rarely. So it can predict which apps you might open next. So, it preloads the apps which you are going to open, beforehand. So when you open an app, there is no need to load it. 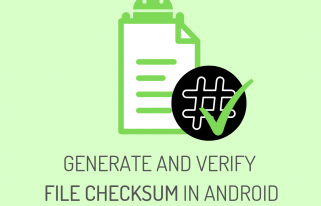 This significantly reduces the load time of apps and sometimes also makes it possible to launch an app in almost Zero time. Xiaomi added its own virtual assistant back in MIUI 9. Now in MIUI 10, it is powered by Artificial intelligence, which makes it more powerful. Xiaomi calls their new AI-powered voice assistant as XiaoAI. Just like most voice assistants like Siri, Google Assistant, it can do many standard Smart assistant tasks with ease. Xiaomi also posted a quick video of XiaoAI voice assistant on YouTube. Sad thing is that XiaoAI is only designed for the Chinese market, which means it only supports Chinese language and Chinese products like WeChat as of now. But, if you are interested to try XiaoAI anyway, you need to install the MIUI 10 Chinese beta ROM instead of Global Beta. Car mode is an Experimental feature which lets you operate your phone Hands-free and avoid distraction while driving. 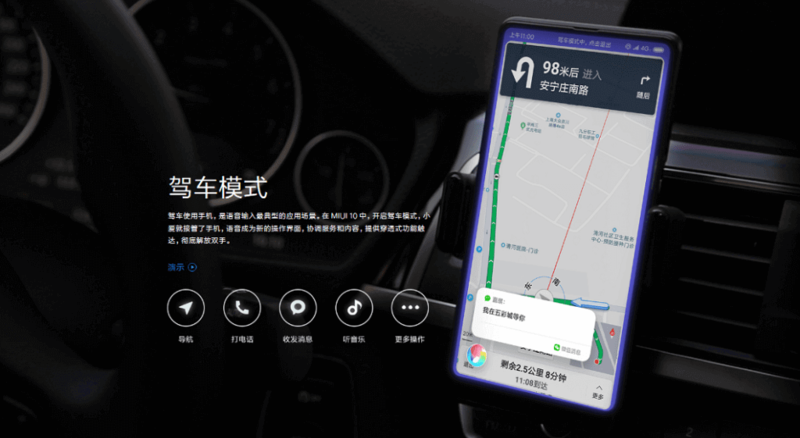 And as you have expected, it is the Voice assistant, XiaoAI which takes your commands and perform actions. Which implies it might be only available in Chinese. With Car mode, you can do some standard stuff which you might do while driving like Navigation on Maps, play Music etc. In MIUI 9, there was a Mi Home manager to control only Mi branded smart home devices like Mi Air Purifier. But in the new MIUI 10, Xiaomi added support for a wide range of Smart home device brands. Xiaomi says its new Smart Home manger supports 590 different Smart home brands. Which means you can control all your Smart home devices from one place instead of installing a separate app for each different-brand device. 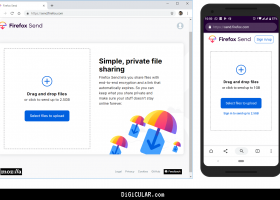 A Picture-in-Picture mode is that you can view Videos or Maps or other apps in the Small floating window while using the other apps at same time. (Mind you, I’m not talking about split screen). There is already Picture in picture mode within Mi Browser since a long time in MIUI 8 and MIUI 9. But you could only use it for Videos played through Mi Browser. 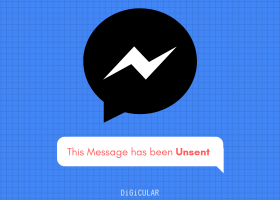 It doesn’t work with other apps. Later Google added PIP to Android Oreo 8.0. But wasn’t added in later versions of MIUI 9. Finally, now in MIUI 10, you can use a full-fledged PIP mode with other apps too. Now you can still view Maps while texting on WhatsApp or watch video while still checking your Mail. Another Android Oreo feature that has been introduced in MIUI 10 is the Auto-fill feature. 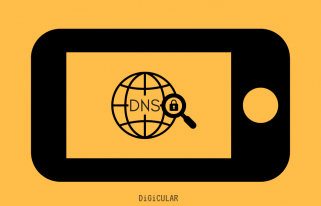 Previously these password managers used workarounds like Making their own keyboard apps to insert Passwords. But with system-wide autofill, you can now insert username & Passwords with Ease. Even though, Lite mode option appeared in initial versions of MIUI 10 Chinese ROM, it is not there as of now. But don’t worry, you can download the Lite mode app (Jeejen browser) and set it as default launcher and you are good to go. Lite Mode is a feature which makes the Icons Bigger and Text size larger so that older people can use the smartphone easily. This feature was there since MIUI 7 and people loved it. But unfortunately Xiaomi removed this feature in later versions. back in MIUI 7, you had to restart your phone in order to activate lite mode. But now, you don’t need to restart. MIUI 10 ships with a theme called Limitless. Though it is already available in MIUI 9, they added live icons animations in MIUI 10, which was not there before. Besides themes there are some new wallpapers too. Also there are some new tones for Notifications and system sounds. Xiaomi focused more on this aspect. They added sounds for some actions like Deleting too. New sounds are inspired from nature sounds like sound of Water droplets, Sand etc. Also, they showcased a demo in which the sound of Droplet decreases if there are more notifications. So it would sound like many drops falling instead of one. 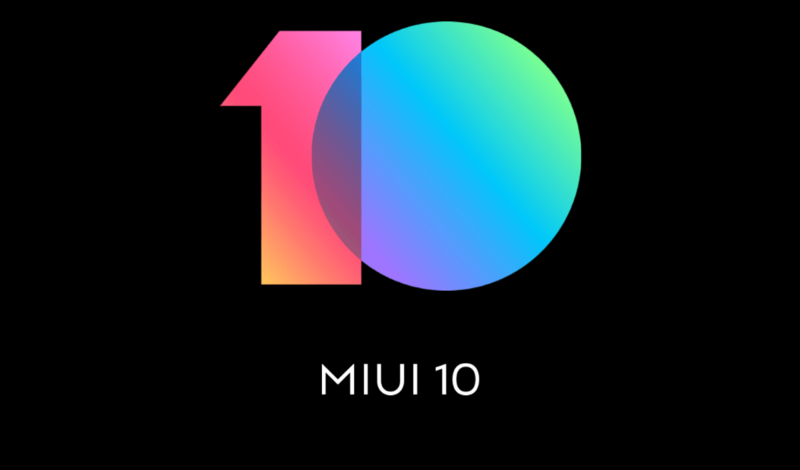 Apart from the above features and changes, there are some of new Indian specific features in MIUI 10 which was announced at Globallaunch of MIUI 10 in India. You receive SMS from services like Banks, E-commerce sites etc., but you never have to reply to them. So it makes no sense to have reply option for such chats. So in MIUI 10, there will be no reply button, but instead, there will be Quick action buttons in that place. For an instance, you have a Chat of ICICI bank. Now in this chat instead of reply button, there will be buttons to open ICICI bank app or website, ATM finder button etc. Xiaomi says it supports about 100 brands as of now for this feature. To keep up with digitalizing India, Xiaomi integrated Paytm into the Camera app. 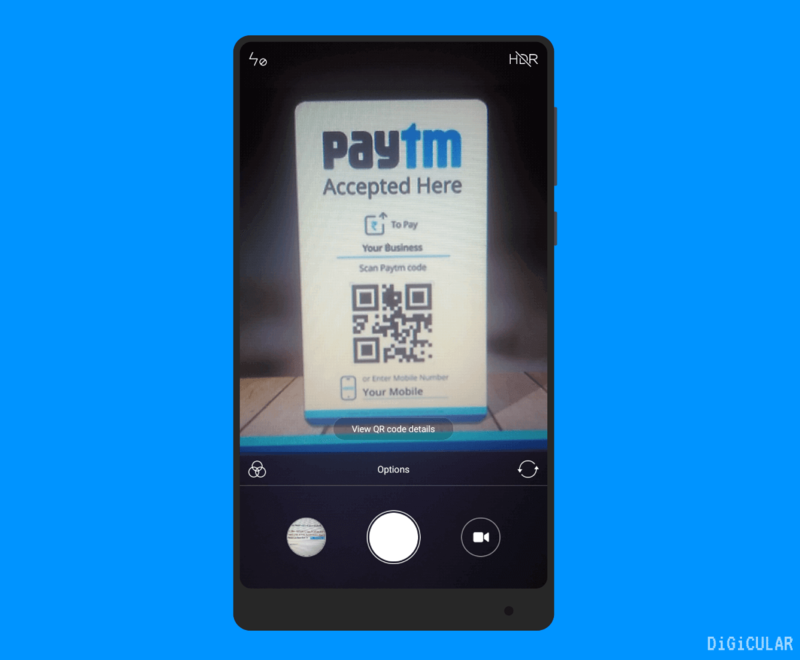 When you want to pay at a store using Paytm, just open Camera app to scan the Paytm QR code of the store and it will take you directly to Paytm app payment page. 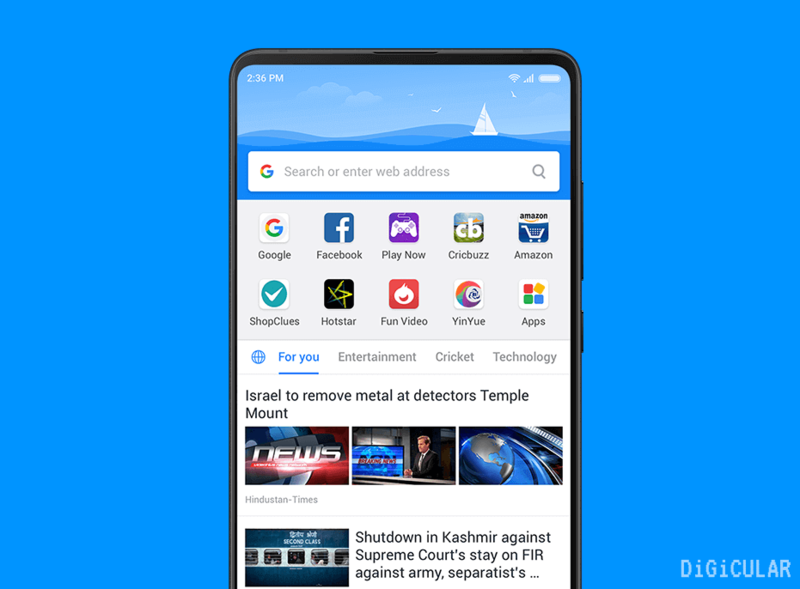 The New Mi browser in MIUI 10 will feature the Progressive Webapps of popular Indian sites like Flipkart. 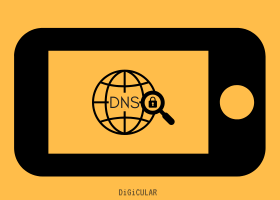 With PWA’s you can get app like experience of certain service without downloading anything. Mi Music has gone through major design changes, also there will be online music streaming capability within music app. 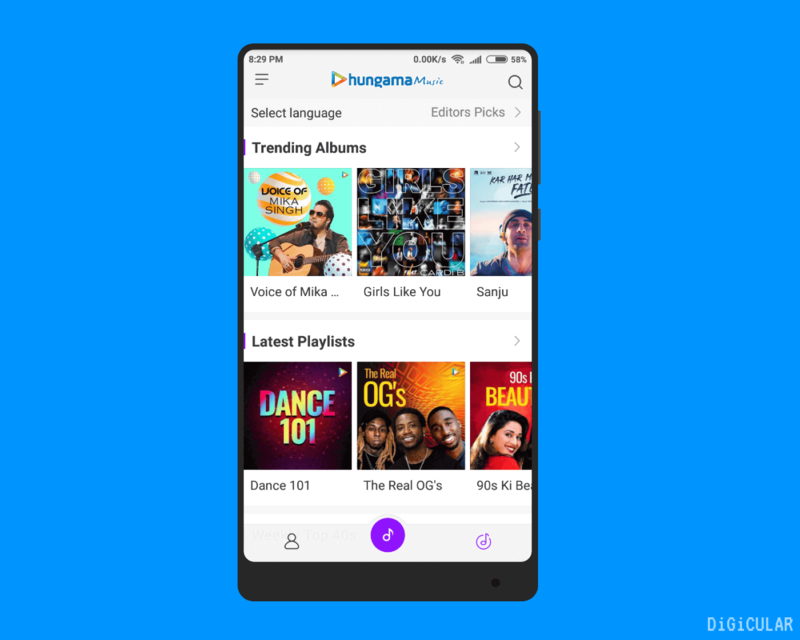 You can search & listen to any songs from online Music streaming service Hungama music. Also there are some notable changes in UI and also you customise it a little bit in settings. Below are all the devices that will are eligible to get MIUI 10 Global Beta update. The update will be rolled out gradually from middle of June and in early July. Check if your device is listed and stay tuned for an update. I personally liked the new Navigation Gestures. They are just more easy and fast to switch apps. Another feature I liked is AI portraits, you can take some really great photos with help of this feature even if you have some old Redmi phone. So those are all the great feature of new MIUI 10, which is your favorite MIUI 10 feature? Susheel is an Electrical Engineer by education, but a Tech Blogger by Passion. He keeps himself updated about latest Apps, Gadgets and anything new in Tech world. When he is not in to computers, he loves to watch Sci-Fi and Horror movies. What is VPN & How it Works? 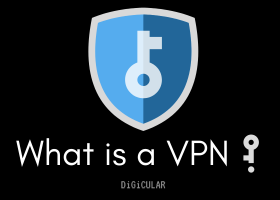 Why Should You use a VPN? Lite mode has been remove in MIUI 9. So if your phone is running on MIUI 9, you don’t see that option. If you are using MIUI 10, you will see the Lite mode option which asks you download the Jeejen launcher. If you have MIUI 10 and still don’t see the option, you can download the Jeejen launcher from their website and install it. You can then set it as default launcher. I have the same problem (on MIUI 10 global). There’s no lite mode. Do you think the Jeejen launcher will work in English? Yes, you can use Jeejen launcher and it does work in English. The initial setup wizard might appear in Chinese, but it does support English. If not open the app and change the language in settings inside the app.